TravelEurope Killarney hotel reservation service provides you with a wide variety of lodging and hotel options, from cheap hotels to luxury accommodation in Killarney. Quick and easy hotel reservations with instant confirmation and great value for money whether you travel for business or tourism. Select travel dates and find all available hotels in Killarney, check out guests reviews and locate properties on Killarney city maps, book your favourite accommodation with no pre-payment. All rates are in Euros and inclusive of all taxes. 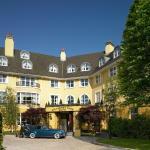 The Killarney Park Hotel is a charming 5-star hotel located a few minutes’ walk from Killarney Train Station and St. Mary Cathedral. The Race Course of the town is just over a kilometer away from the hotel. 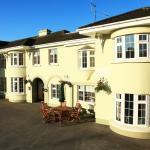 Woodlawn House is within walking distance from Killarney and offers panoramic views of the Kerry Mountain Range, free parking and 24 hour reception. 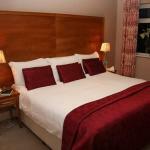 Scott's Hotel is located in Killarney city centre, near the central station. The hotel houses a lively bar offering live entertainment and a fine restaurant that serves Irish and international specialties. 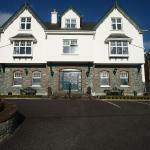 The Fairview Guesthouse is situated in the heart of Killarney. This luxurious boutique hotel boasts a fine restaurant with international cuisine and some of the elegant and comfortable rooms have a jacuzzi. 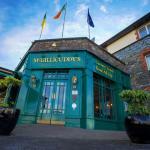 Castle Lodge Guest House is located in Killarney town center, near the National Park. 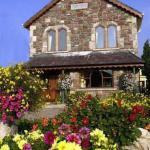 This intimate and friendly guest house is the perfect starting point to explore the Ring of Kerry.